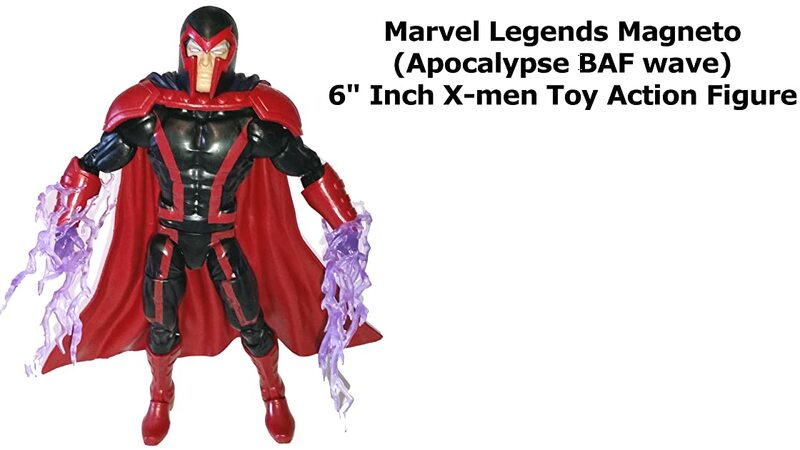 This is a Marvel Legends 6" inch Magneto review. (Part of the Apocalypse build a figure BAF wave.) Magneto is wearing his modern costume. Hasbro did a good job but the real treat is the accessories. The no helmet look and magnetic effect parts. Well sculpted, detailed and articulated X-men action figure.